Okay so I did another smaller bow above the big one but it went wonky so I did another one the other way, I know it's hard to see, sorry for the terrible quality! 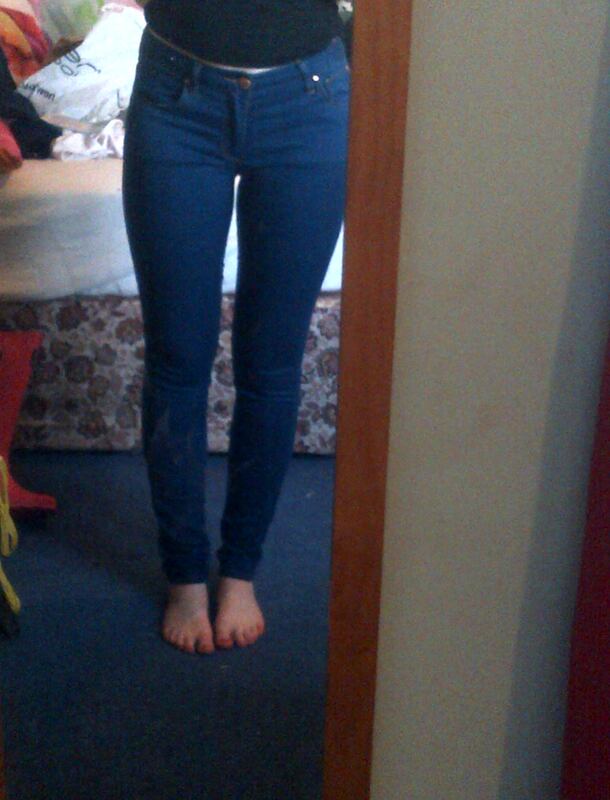 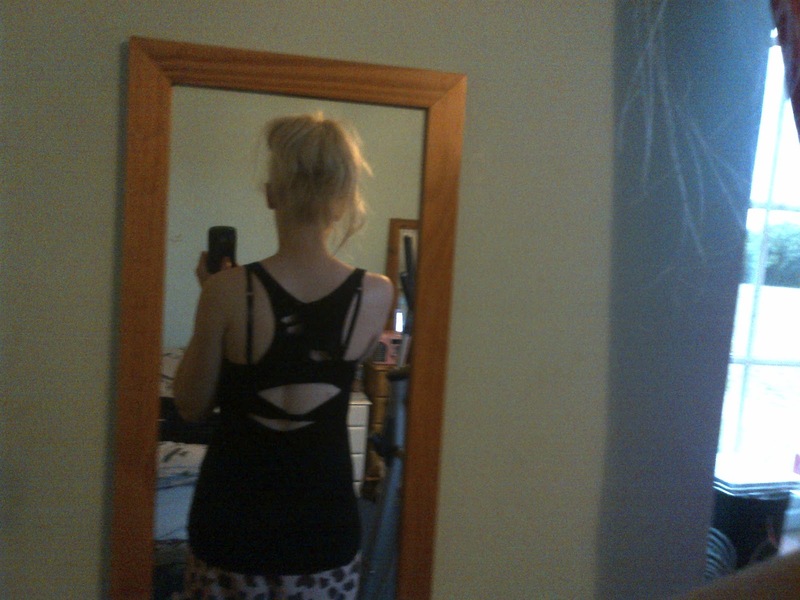 But yeah basically I so so regret doing that :( I wish I left the back plain! 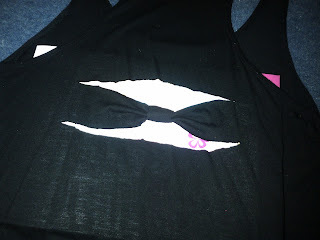 I do like the big bow but as the top's baggy it looks weird and the small ones just look like a dogs eaten it! 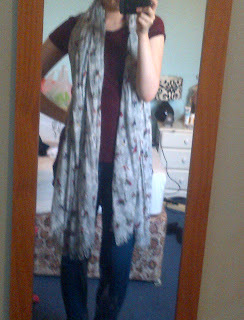 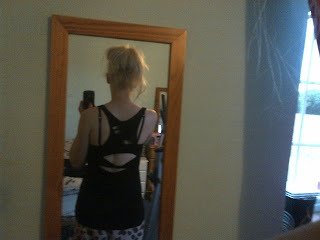 I love the front of the top so I may wear it if i'm wearing a jacket or something! 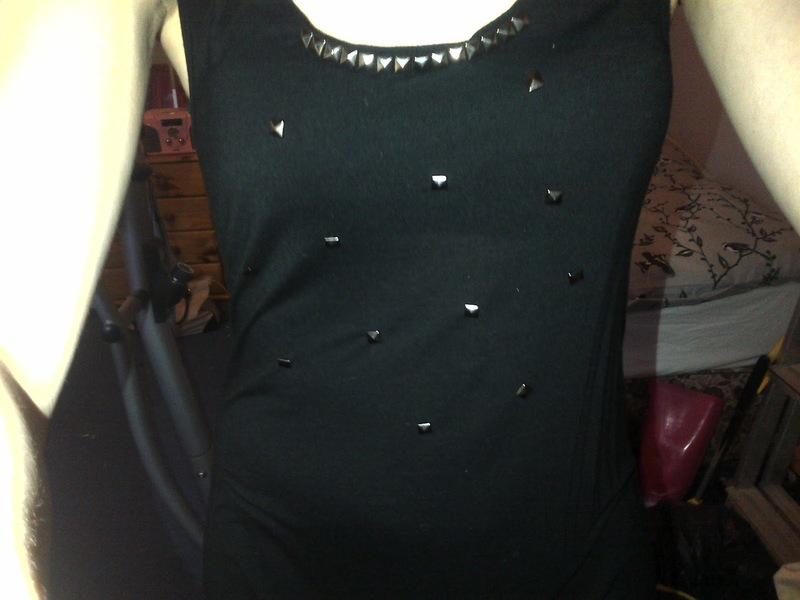 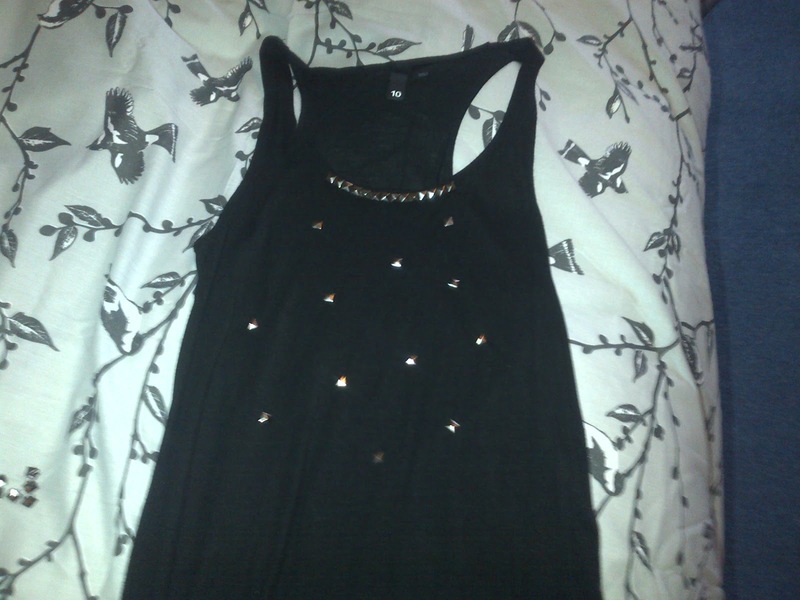 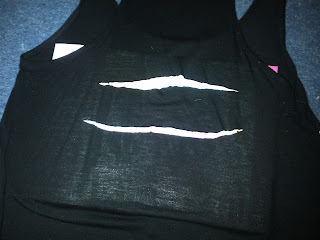 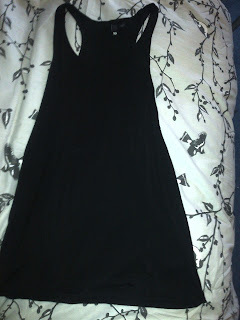 I might buy a plain black top and do the same studding but leave the back! 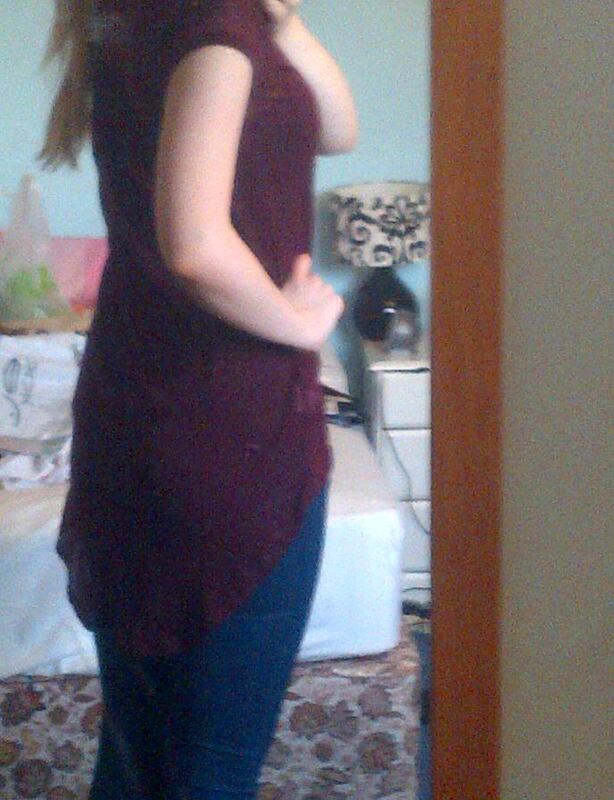 This is macbarbie07's bow top which as you can see looks alot better as it's tight and she has better cutting skills than me and my wonky cutting! 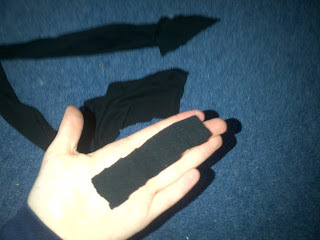 Thick black leggings - Primark £6 Size 10 - These are a really thick material, different to normal leggings and not see through at all! 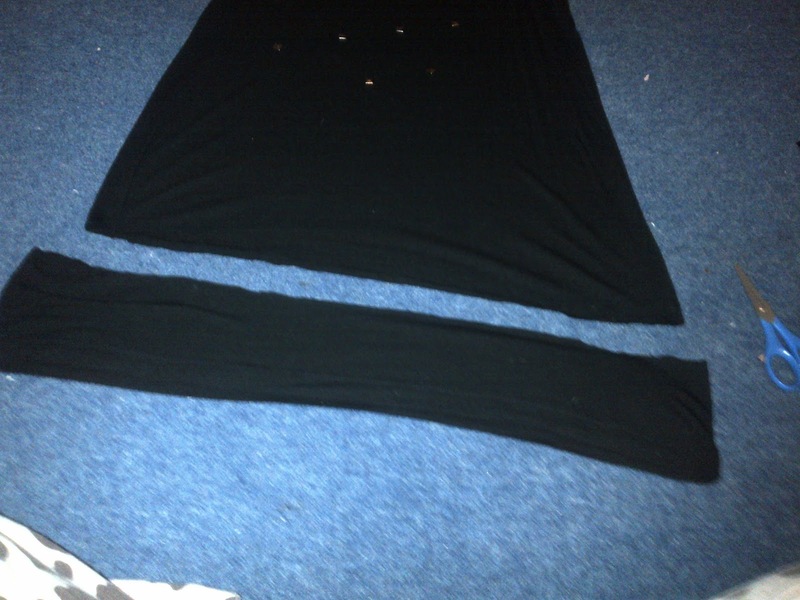 They have a seam line down the front which i'm not sure on but don't mind and needed some thick leggings! 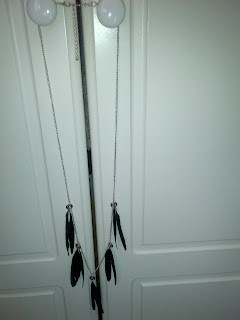 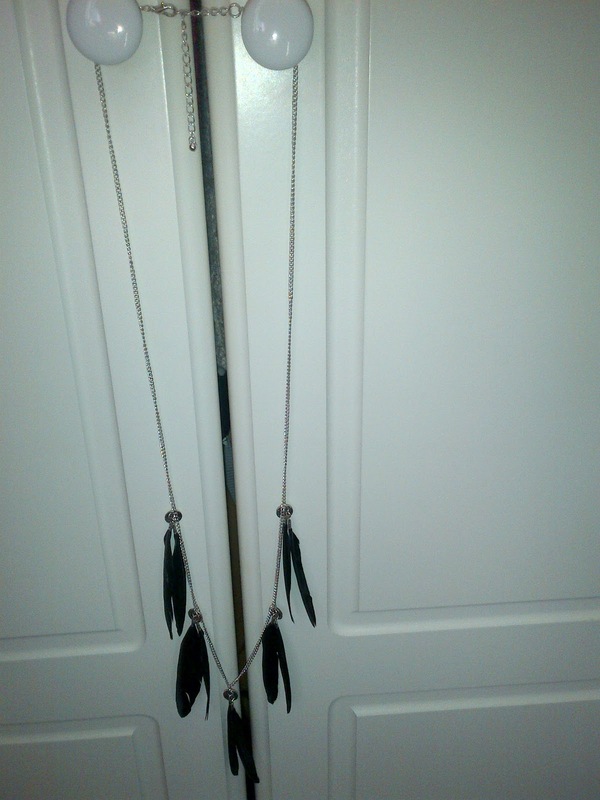 Feather necklace - New Look sale £1.25! 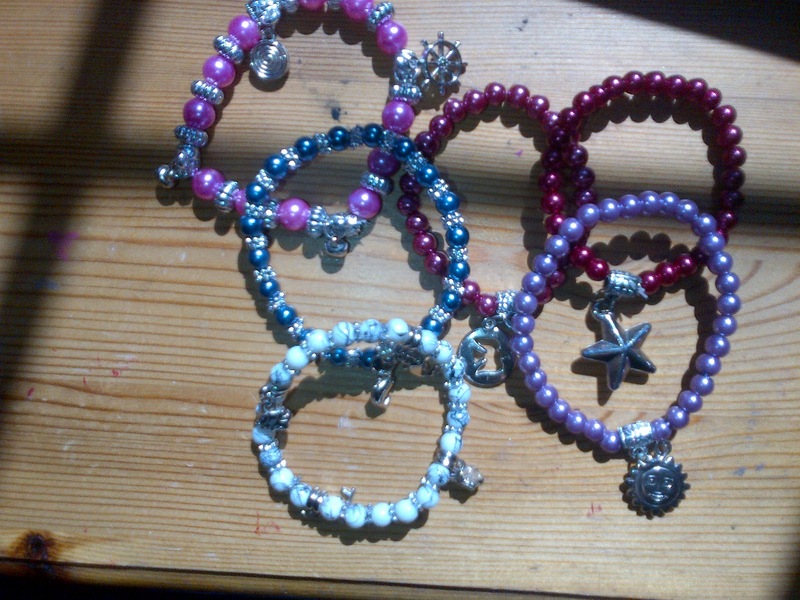 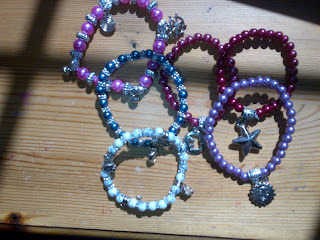 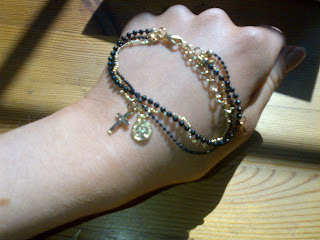 Bracelet - Republic £4 - I couldn't get it on by myself and noone was in ha! 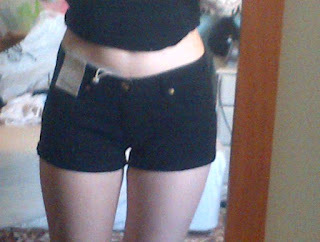 Black shorts - Primark £5! 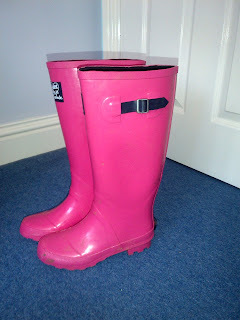 Size 10 - yay they finally had these in my size! 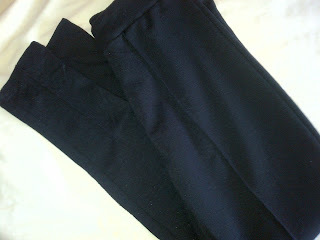 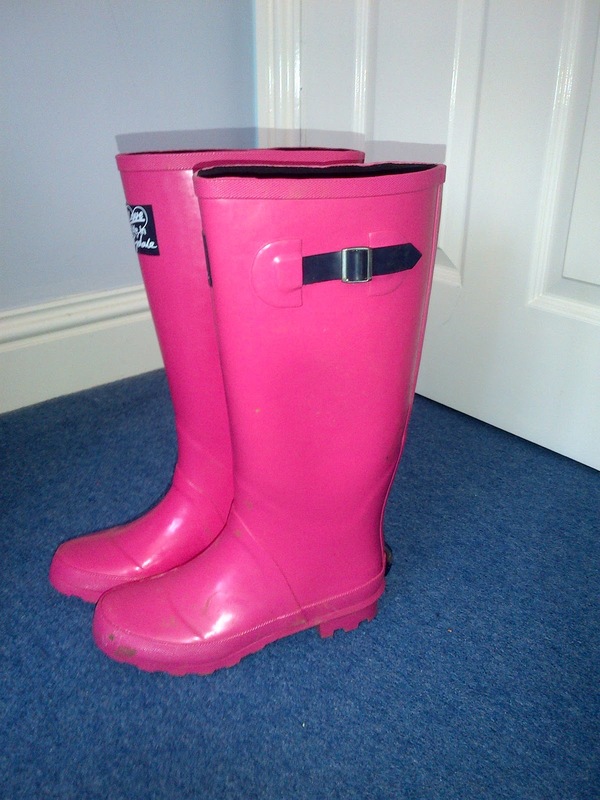 I've wanted these to wear with black tights as they're simple and easy to put with things! Bird print bed covers - Asda £11! 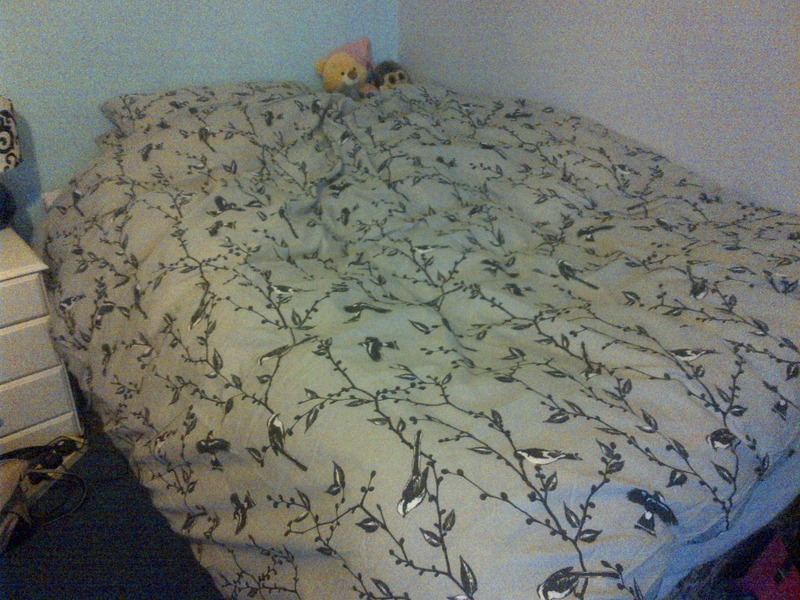 Saw this and thought it was so cute and i've been wanting new bed covers and it was so cheap!